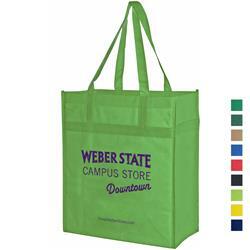 The Y2K Grocery Bag is a fully customizable Tote bag that is water and rip resistant making it the ideal bag for shopping. 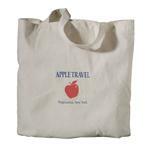 With the look, feel, strength and quality of regular cloth, it is made of Non-Woven Propylene material that is 100% recyclable making an eco friendly bag. The side seams, bottom gusset and 22" handle are stitched so it can take the heavy loads. 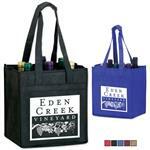 Customize it with your logo or design to make a great tradeshow giveaway or for resale in a store. 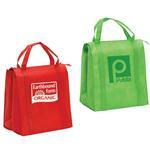 This is not your typical non woven tote bag - it is heavy duty and can support a great amount of weight. Available Imprint Options: Silk Screen, Inquire for Full Color. 100% recycable Non-woven, polypropylene material, has the look, feel, strength and quality of cloth, Stitched seams in the sides and bottom gusset, Tear resistant and water repellent. Tote bag.